The characterization, study and monitoring of the Critical Zone (CZ) and associated hydrosystems mainly rely on spatially sparse information. 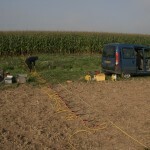 Fortunately, hydrogeophysics provide appropriate tools to interpolate boreholes information and image heterogeneities in the CZ. The combined use of near-surface Electrical Resistivity Tomography (ERT) and seismic imaging, for instance, help hydrogeologists determining the geometrical characteristics of hydrosystems and constraining their flow models (separating aquifer layers, setting up systems boundaries, highlighting fractures etc.). 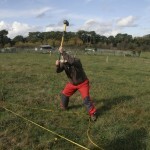 What about seismic methods ? The seismic signal is by definition related to mechanical properties that partly depend on porosity, saturation and permeability. The behaviour of shear (S-) and pressure (P-) waves in the presence of fluid is partially decoupled. The ratio of their propagation velocities (VP and VS), or the Poison’s ratio, then classically permits imaging fluids in rocks. This strategy, well known in various applications in geosciences, remains however underused in near-surface geophysics, hence hydrogeophysics! Yet, P-wave refraction tomography and surface-wave dispersion inversion can be combined to produce 2D VP and VS sections from a single acquisition set up. Within CRITEX, we adapted and tested this strategy (see the reference list below) on two CZ observatories with distinct hydrogeological characteristics, e.g. a fractured cristalin environment with strong discontinuities and a continuous sedimentary multi-layered hydrosystem. On both experimental sites, we are able to extract spatial variations of VP/VS ratio, whose evolution is strongly associated to the water content observed locally. Theses first results are very encouraging! 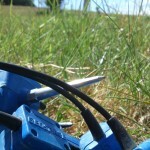 We are developing its ‘time-lapse’ implementation in order to monitor hydrosystems. 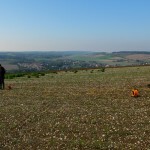 In its early development stage, CRITEX’s seismic was mainly deployed on the Orgeval experimental catchment (RBV) in the framework of the PIREN-Seine program, as well as on the Ploemeur site which is part of the H+ observatory. 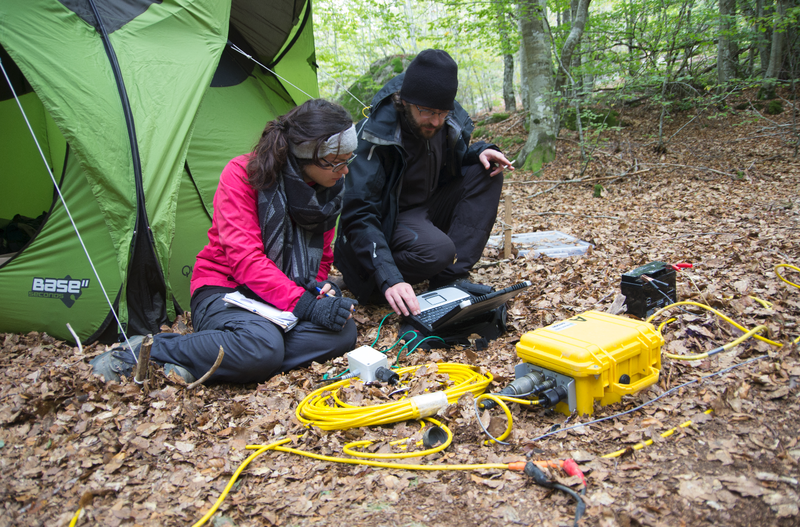 But today, our approach and associated equipment are travelling…CRITEX’s seismic is thus currently involved in both national and european projects to find new ways to exploit the full wealth of seismic signals for the hydrogeophysical study of the CZ. 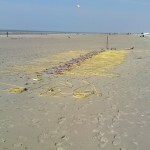 CRITEX owns a 96-channel seismic recorder system (actually 4 Geometrics-GEODE modules of 24 channels). Each module has 24 bit, ultra-high resolution 20 kHz bandwidth (8 to 0.02 ms sampling), up to 65536 samples (see Geometrics website for detailed specifications of the equipment). The recorders come with seismic spreads allowing up to 5-m geophone spacing. The equipment comprises 96 vertical component 14 Hz geophones and 96 horizontal component 14 Hz geophones. Marine Dangeard (PhD thesis 2015-2018 at Sorbonne Université). Working on CRITEX’s seismic during is PhD thesis, Sylvain Pasquet also developed a Matlab-based toolbox called SWIP which, among other features, makes it possible to apply our approach to the study of the CZ characterization with standard seismic data. The package comes with a detailed installation manual, instructions and an example dataset. 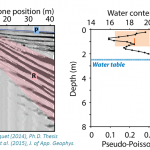 A tutorial has been published in Geophysics. Feel free to contact us! Pasquet, S., Bodet, L., 2017. SWIP: an integrated workflow for surface-wave dispersion inversion and profiling. 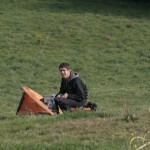 Geophysics, 82(6), WB47-WB61. Pasquet, S., Bodet, L., 2016. Integrated workflow for surface-wave dispersion inversion and profiling. In: Near Surface Geoscience 2016 – 22nd European Meeting of Environmental and Engineering Geophysics. EAGE, Barcelona, Spain. Dangeard, M., Bodet, L., Pasquet, S., Thiesson, J., Guérin, R., Jougnot, D., and Longuevergne, 2019. 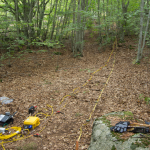 L. Estimating picking errors in near-surface seismic data to enable their time-lapse interpretation on hydrosystems, Near Surface Geophysics, 16(6). Dangeard, M., S. Schneider, L. Bodet, A. Rivière, R. Guérin, F. Réjiba, G. Hovhannissian, 2017. Vers une interpolation hydrogéophysique des propriétés hydrodynamiques de la subsurface : apports du « time-lapse » sismique. Rapport PIREN Seine 2017. Pasquet, S., Bodet, L., Bergamo, P., Guérin, R., Martin, R., Mourgues, R., Tournat, V., 2016. 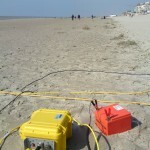 Small-scale seismic monitoring of varying water levels in granular media. Vadose Zone Journal, 15(7). Pasquet, S., Bodet, L., Longuevergne, L., Dhemaied, A., Camerlynck, C., Rejiba, F., Guérin, R., 2015. 2D characterization of near-surface Vp/Vs: surface-wave profiling versus refraction tomography. 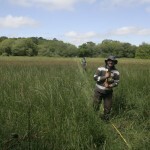 Near Surface Geophysics, 13(4). Pasquet, S., Bodet, L., Dhemaied, A., Mouhri, A., Vitale, Q., Rejiba, F., Flipo, N., Guérin, R., 2015. 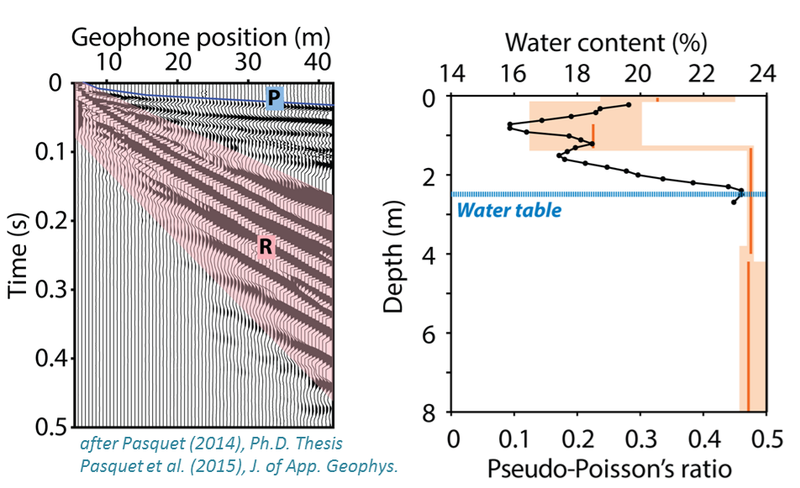 Detecting different water table levels in a shallow aquifer with combined P-, surface and SH-wave surveys: insights from Vp/Vs or Poisson’s ratios. Journal of Applied Geophysics, 113. Bodet, L., F. Rejiba, G. Hovhannissian, S. Pasquet, A. Mouhri, S. Flageul, Q. Vitale, A. Dhemaied, P. Ansart, N. Flipo and R. Guérin, 2014, Mesure des cinétiques hydrogéophysiques aux interfaces. Rapport PIREN Seine 2013. Bodet, L., Dangeard, M., Pasquet, S., 2018, Finding appropriate models to better extract information from time lapse seismic data on hydrosystems. In EGU General Assembly Conference, Vienna, Austria, April 2018. 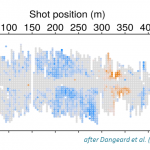 Dangeard, M., Bodet, L., Rivière, A., Schneider, S., and Guérin, R., 2018, Time-lapse seismic experiments to constrain hydrodynamic parameters at the stream-aquifer interface,In EGU General Assembly Conference, Vienna, Austria, April 2018. Ciocca, F., Bodet, L., Simon, N., Karaulanov, R., Clarke, A., Abesser, A., Krause,S., Chalari, A., Mondanos, M. 2017. Towards the Wetness Characterization of Soil Subsurface Using Fibre Optic Distributed Acoustic Sensing. In: AGU Fall Meeting. AGU, New Orleans, USA. Dangeard, M., Bodet, L., Kuessner, M., Bouchez, J., Thiesson, J., Lucas, A., Gayer, E., and Frick, D., 2017. A multidisciplinary investigation of groundwater fluctuations and their control on river chemistry – Insights from time-lapse active seismic experiments during flood events. In: AGU Fall Meeting. AGU, New Orleans, USA. Kuessner, M., Bouchez, J., Dangeard, M., Bodet, L., Thiesson, J., Didon-Lescot, J-F., Frick, D., Grard, N., Guérin, R., Domergue, J.-M. and Gaillardet, J., 2017. A multidisciplinary investigation of groundwater fluctuations and their control on river chemistry – Insights from river dissolved concentrations and Li isotopes during flood events. In: AGU Fall Meeting. AGU, New Orleans, USA. 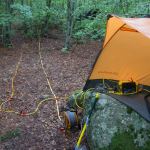 Bodet, L., Dangeard, M., Pasquet, S., Guérin, R., Jougnot, D., Longuevergne, L., Rivière, A., and J. Thiesson, 2015. 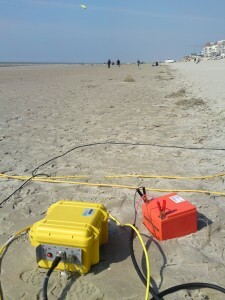 Towards water content monitoring in the vadose zone from active seismic. In: EGU General Assembly 2017, Vienna, Austria (PICO). Dangeard, M., Pasquet, S., Bodet, L., Guérin, R., Longuevergne, L., Thiesson, J., 2016. Temporal variations observed in near-surface seismic data at the Ploemeur hydrogeological observatory. In: 43rd IAH International Congress. IAH, Montpellier, France (poster). Dangeard, M., Pasquet, S., Bodet, L., Guérin, R., Longuevergne, L., Thiesson, J., 2016. 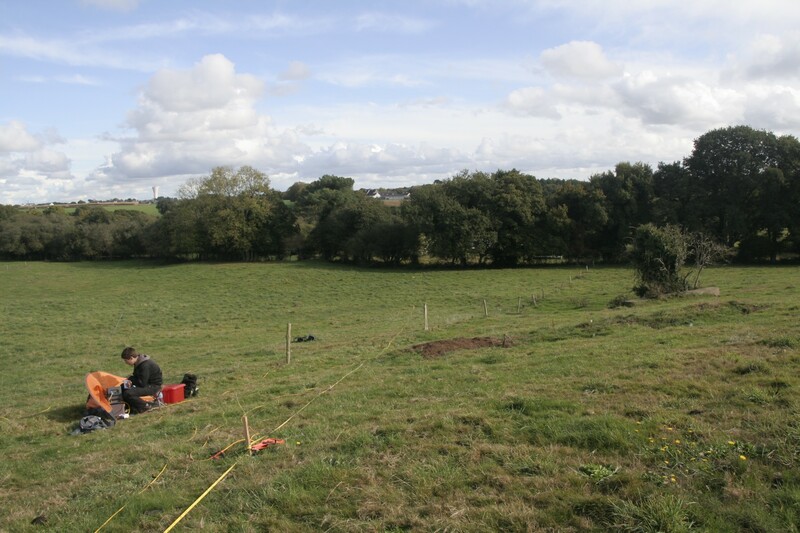 Temporal variations of near-surface seismic data at the Ploemeur (France) hydrogeological observatory. In: Near Surface Geoscience 2016 – 22nd European Meeting of Environmental and Engineering Geophysics. EAGE, Barcelona, Spain (extended abstract, poster). Rivière, A., Flipo, N., Mouhri, A., Ansart, P., Baudin, A., Berrhouma, A., Bodet, L., Cocher, E., Cucchi, K., Durand, V., Flageul, S., de Fouquet, C., Goblet, P., Hovhannissian, G., Jost, A., Pasquet, S., Rejiba, F., Rubin, Y., Tallec, G., Mouchel, J.M., 2016. 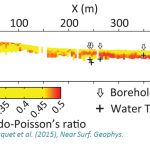 Spatio-temporal surface-subsurface water exchanges: from the local to the watershed scale. In EGU general assembly 2016, Vienna, Austria (talk). Pasquet, S., Guérin, R., Barhoum, S., Audebert, M., Bodet, L., Dangeard, M., Gombert, P., Valdès-Lao, D., Vitale, Q., 2016. 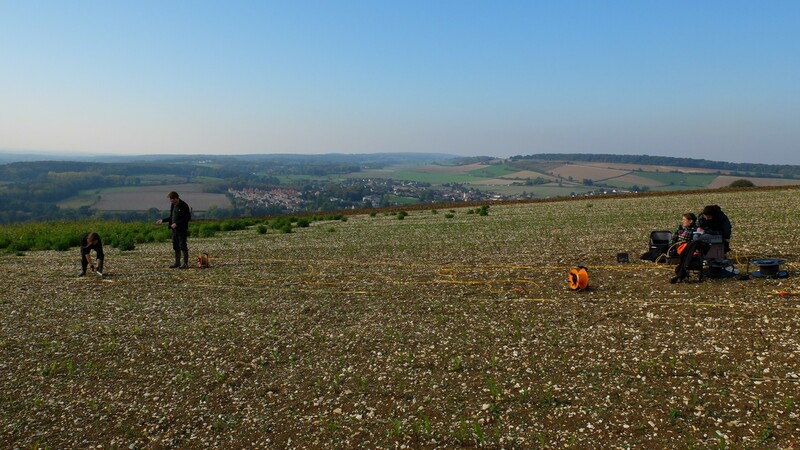 Geophysical characterization of the vadose zone above an abandoned underground quarry of Chalk. 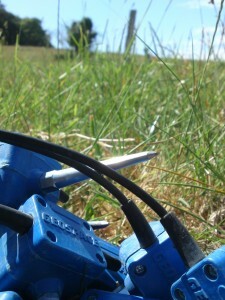 In: 29th Symposium on the Application of Geophysics to Engineering and Environmental Problems, EEGS, Denver, USA (talk). Bodet, L., Pasquet, S., Bergamo, P., Martin, R., Mourgues, R., Tournat, V., 2015. Experimental illustrations of seismic-wave properties of interest for hydrogeological studies. In: AGU Fall Meeting. AGU, San Francisco, USA (invited presentation). Pasquet, S., Bodet, L., Chalikakis, K., Flipo, N., Longuevergne, L., Guérin, R., 2015. 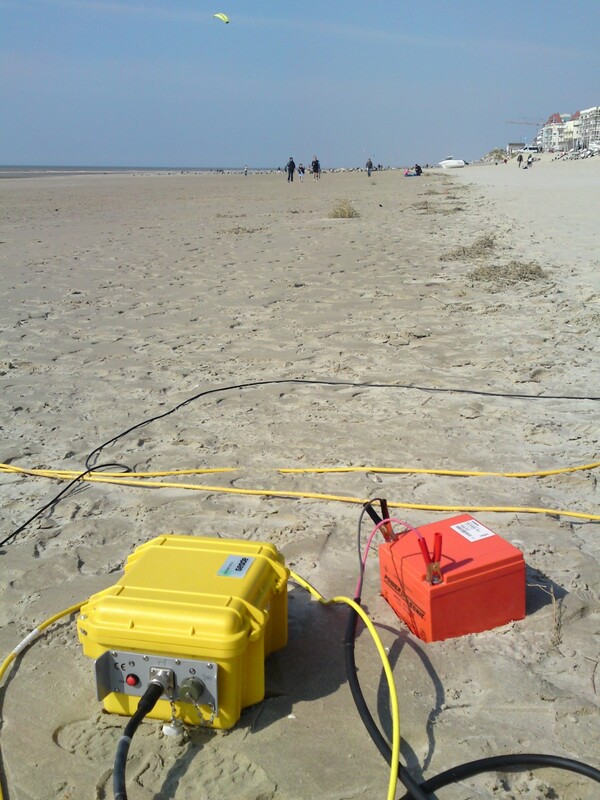 Encouraging the use of seismic methods for the hydrogeophysical characterization of the critical zone. In: AGU Fall Meeting. AGU, San Francisco, USA (poster). 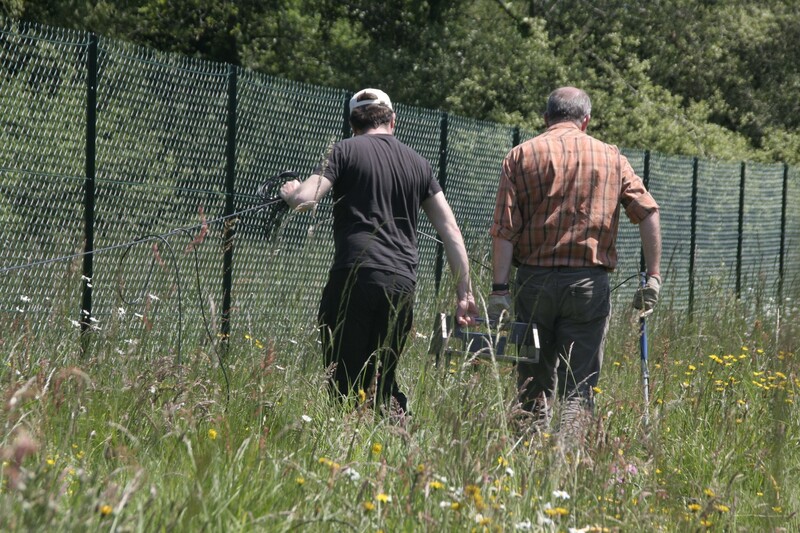 Pasquet, S., Bodet, L., Bergamo, P., Camerlynck, C., Dhemaied, A., Flipo, N., Guérin, R., Longuevergne, L., Mouhri, A., Mourgues, R., Rejiba, F., Tournat, V., Vitale, Q., 2015. Contribution of seismic methods to hydrogeophysics. 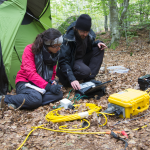 In: Near Surface Geoscience 2015 – 21th European Meeting of Environmental and Engineering Geophysics. EAGE, Turin, Italy (extended abstract, poster). Pasquet, S., Bodet, L., Guérin, R., 2015. 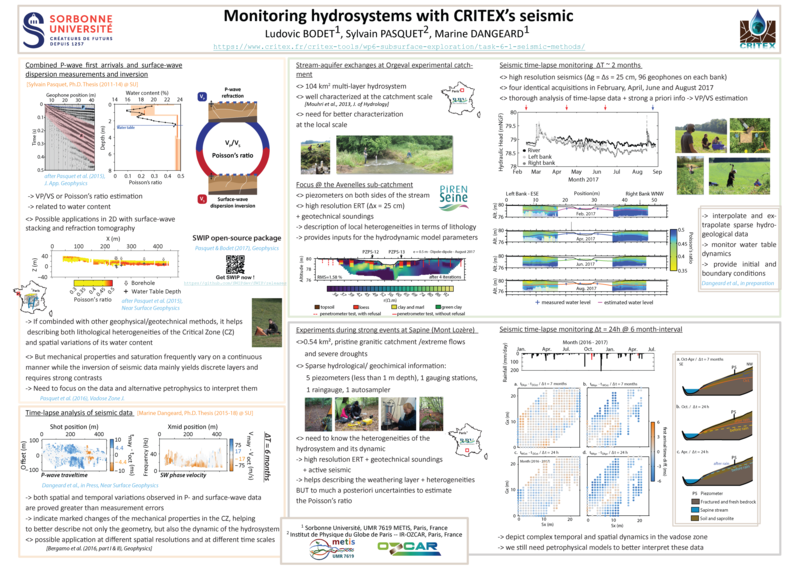 Contribution of seismic methods to hydrogeophysics: recent advances within CRITEX. In: 20th International Association of Hydrogeologists French Chapter Technical days. “Hard-Rock Aquifers: the up to date concepts and the practical applications”. CFH-AIH, La Roche-sur-Yon, France (extended abstract, poster). Pasquet, S., Bodet, L., Dhemaied, A., Flipo, N., Guérin, R., Mouhri, A., Rejiba, F., Vitale, Q., 2013. 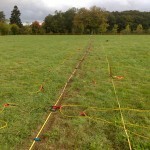 Seismic velocities to characterize the soil-aquifer continuum on the Orgeval experimental basin (France). In: AGU Fall Meeting. AGU, San Francisco, USA (poster). Pasquet, S., Bodet, L., Dhemaied, A., Guérin, R., Longuevergne, L., Rejiba, F., 2013. 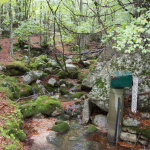 Seismic surface-wave dispersion profiling versus shear-wave refraction tomography on a granite-micaschists contact at Plœmeur hydrological observatory (France). In: AGU Fall Meeting. AGU, San Francisco, USA (poster). 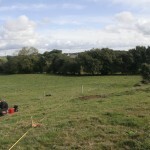 Pasquet, S., Bodet, L., Longuevergne, L., Dhemaied, A., Rejiba, F., Camerlynck, C., Guérin, R., 2012. Surface-wave dispersion stacking on a granite-micaschists contact at Ploemeur hydrological observatory, France. In: Near Surface Geoscience 2012 – 18th European Meeting of Environmental and Engineering Geophysics. EAGE, Paris, France (extended abstract, talk).